The Toronto Central LHIN has a wonderful circle diagram that charts the LHIN mission. It starts with community engagement, moves to local health system planning, then to funding and allocation, and finishes with accountability and performance management. It doesn’t directly deliver health care. The CCACs are not health planners. 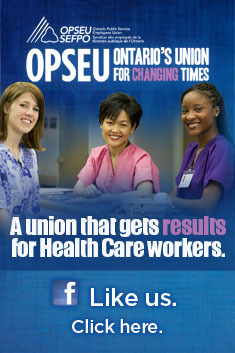 They are considered health care providers by the LHIN and sign accountability agreements in return for funding. Unlike the LHINs, the CCACs do have direct contact with patients seeking care. That contact often leads to what I’m sure the contracted home care agencies would regard as micro-management. We can’t see the LHINs, for example, calling an agency to find out why the hypothetical Mrs. Jones never received a scheduled home nursing visit last Tuesday. Given the duty of more than half of Ontario’s home care agencies is to first maximize profit, there needs to be someone pitching for the public interest at that detailed level. It’s not the LHIN. That role of patient advocate usually falls to the case managers or care coordinators who are regulated health professionals, not bureaucrats. In some cases, it is the case manager that provides the triage decisions necessary to determine how resources are allocated on a local level. They are in theory the quarterback behind the team needed to attend to a patient. That team could be coming from multiple and competing agencies that don’t speak to one another. Last year we were engaged in discussions with the OACCAC around restructuring of payment systems for home care. The CCACs obviously feel the present system gives an incentive to provide more care than is needed under the fee-for-service model. The more visits agencies deliver, the more money they make. The OACCAC would instead effectively create a “global” budget for each individual patient. That “global” budget would be based on a standardized care pathway. Under that model, profit would be found in delivering less care, not more. It would also make it next to impossible to determine whether Mrs. Jones missed her visit, or whether the for-profit agency simply decided she didn’t really need it as much as their shareholders needed the return on investment. Some might say that the present system is too soft, but the system the OACCAC wants to adopt could be also regarded as too hard. So Goldilocks, what’s just right? While some bemoan the administration behind 14 CCACs, they forget that these CCACs in turn contract work to dozens of agencies each with their own internal levels of administration. For example, at the Toronto Central CCAC they contract to 35 such agencies, each with their own internal bureaucracy. For those at the top of these agencies we seldom have any idea about compensation or increases unless the corporation is publicly traded. For-profit agencies are exempt from the sunshine list. Even among the not-for-profits, disclosure is often evaded by those at the very top. The CEO of VON Canada or St. Elizabeth Healthcare do not have their compensation posted publicly. The nature of the private sector is that it is private. That doesn’t make for great public accountability. As upset as we are about how CCAC CEOs were compensated in 2012, keep in mind that the CEO of Extendicare, the parent corporation of ParaMed Home Health Care, had reported compensation of $1.1 million in the same year. The labour movement in Ontario has long advocated that we could eliminate a lot of this layering by moving more home care into a public delivery model. This is not as strange as it sounds. When a nurse, social worker or therapist comes out to deliver home care in BC, they are direct public employees. They don’t have any financial incentive to conduct more care than necessary or less care than needed to improve shareholder return. If the money runs out, it is the elected politicians who are accountable. No other province uses Ontario’s system of home care contracting. We are the outliers. While Mike Harris wanted the CCACs to divest themselves of all direct care staff, there were pockets in Ontario where that was simply impossible or too expensive to do. Mostly therapists, these CCAC staff have quietly gone about their work and provided good service for home care patients without the drama attached to the former competitive bidding system. They have also had much less turnover. (For further insight on this, check out our tale of two physiotherapists). Asking the LHINs to absorb the CCACs is a little like asking a community health centre to suddenly absorb a large metropolitan hospital. The Toronto Central CCAC, for example, has more than 500 staff working from three offices and more than 26 hospitals. The Toronto Central LHIN, by comparison, has fewer than 50 staff. It’s a bit odd to do away with 14 CCACs and leave in place hundreds of agencies with their own bureaucracy and far less accountability. Advocates for this model may want to give it a little more thought. This entry was posted in Uncategorized and tagged Bob Hepburn, CCAC, CCACs folded into LHINs?, CEO Compensation, Community Care Access Centre, Deb Matthews, LHINs, St. Elizabeth Healthcare, VON. Bookmark the permalink. Not sure if this at all a fair reflection of RNAO proposal for positive change. Suggest you review ECCO report and address clarifying questions directly to Doris Grinspun.